Art work is perfect. It arrived quickly and as described. The print was so stunning and the perfect gift for my grandmothers 90th birthday! She has called several times to tell me how much she loves it and how happy it makes her.. such beautiful work! 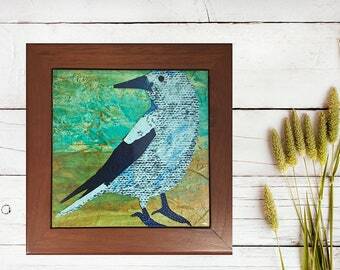 This Oriole looks extra happy- I think he likes the yellow flowers I got him! 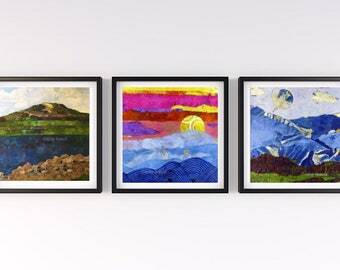 Giclee/fine art prints are ready to ship - available in a variety of sizes! 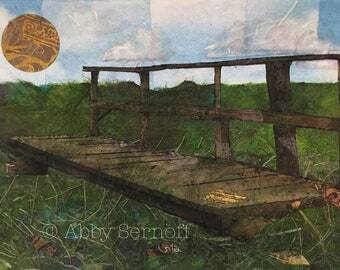 Abby Sernoff is a self-taught Mixed Media Collage artist who was raised in Lawrenceville, NJ. and currently lives in Bucks county, PA. She received her B.A. from Macalester College and an MA in Speech Language Pathology from Temple University. Several years ago, her life completely changed when she became seriously ill. 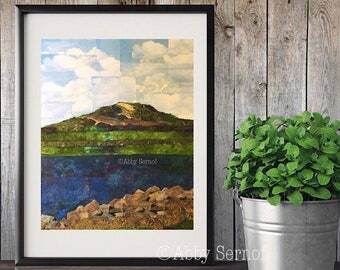 Unable to continue working as a Speech Pathologist, Abby started making collages in 2006 while taking a local class about creativity. 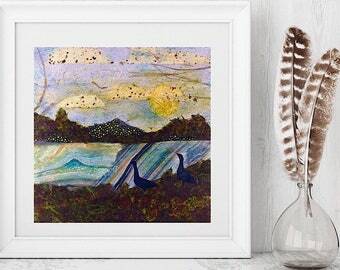 Within months, Abby found herself selling her artwork in local stores, accepting commissions, and participating in a Juried art exhibit. She has since exhibited her art locally as well as nationally and has artwork in both U.S. and International private collections. 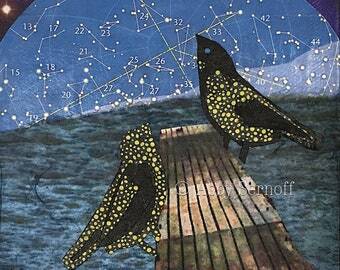 Her bird collages have been featured by Audubon Magazine. 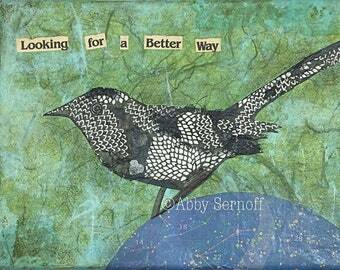 Working primarily with paper, ink, and acrylic paint, Abby’s collages showcase varied texture, pattern, and color. 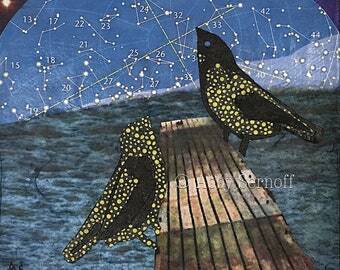 Her collages include papers collected from numerous sources. She prefers to use recycled materials as much as possible.